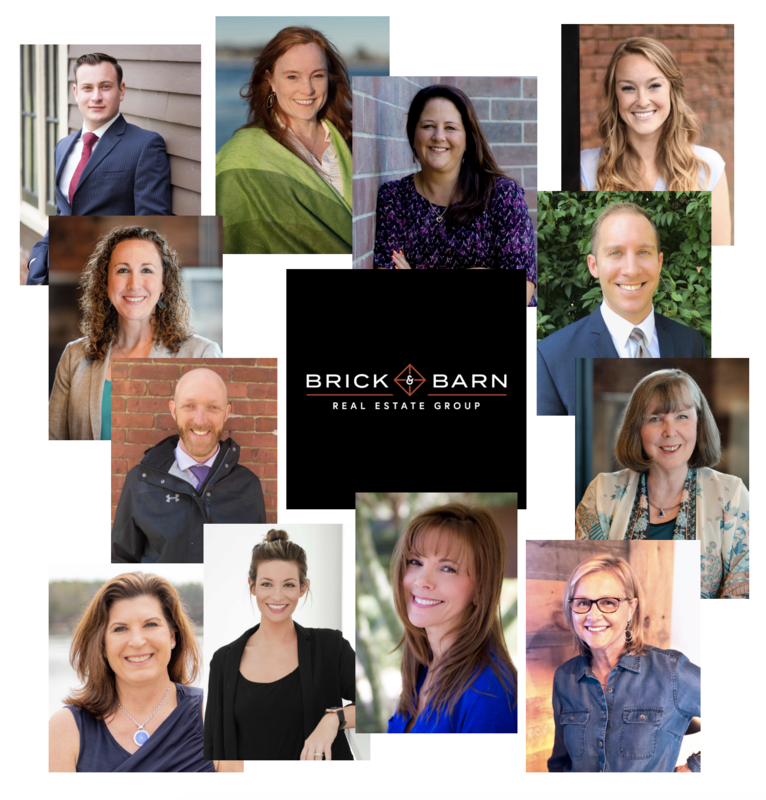 Portsmouth, NH- April 9, 2019 - Brick & Barn Real Estate Group's staff continues to grow and has announced it added 12 members to its team in the first quarter of 2019. “Our staff has been strengthened by the addition of 12 very talented professionals to the Brick & Barn team,” Scott Rome, CEO said. “We added both experienced real estate agents who have an impressive track record of production and new agents that bring a wealth of sales and customer service experience to our company." Monik Graham, Kim Caddle, and Mehera Hilson come to Brick & Barn from the Bean Group, where they developed an excellent reputation and loyal client base. Karin Hamilton joins the company from the Masiello Group and will serve as the Managing Broker for the company’s Dover, NH office. Michelle Colgan, also previously at Masiello, joins Brick & Barn in Dover. Owen Barter, a well-established Seacoast agent, transitioned from Red Post Realty in Portsmouth, along with Cortney Philbrick, also from Red Post, who takes on the role of Executive Administration for the Seacoast staff. Dan Ferullo, who has built a fast-growing real estate business at Coldwell Banker, joins the Brick & Barn Portsmouth office along with Sam Harding who comes from Keller Williams. Elizabeth Moreau comes to Brick & Barn’s Quechee, Vermont office after selling real estate in Las Vegas for 18 years. 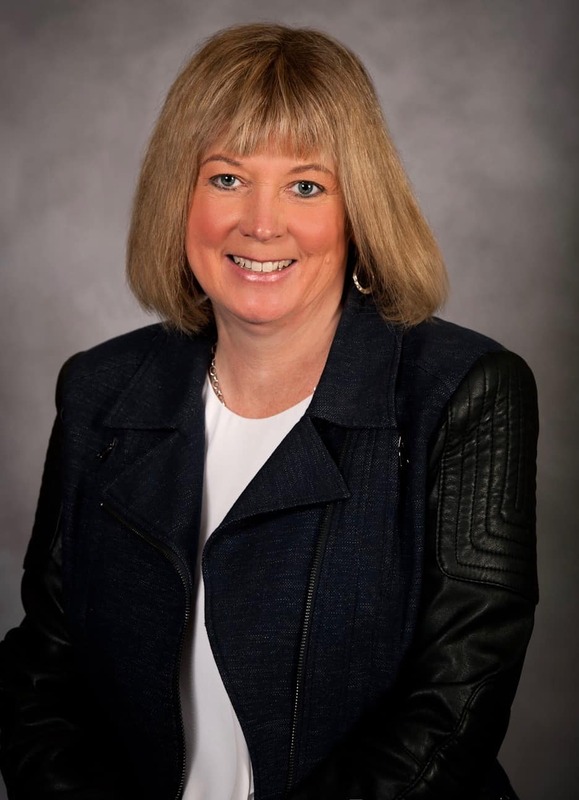 Nancy Oeser will be in the Portsmouth, NH office and previously worked as a sales manager and general manager for various automotive groups for 20 years. Nancy is joined by Jane Wright, who had a long standing career at Sysco Foods where she served as a District Sales Manager for nine years. This wave of staff expansion comes on the heels of Brick & Barn announcing the opening of their new company headquarters in the West End of Portsmouth, and now brings the team size to 51 licensed agents across 5 offices in New Hampshire, Vermont, Maine, and Massachusetts. “Agents are recognizing the value Brick & Barn provides their independent real estate businesses and are extremely pleased by the support, marketing, innovation, and culture our company offers them,” says Rome. “We are in the process of on-boarding several more agents in the coming weeks and continue to work towards building an exceptional environment in which our agents will thrive". Rome also noted that Brick & Barn has its sights on a further expansion into Maine and is planning an entry into Portland in the near future as well as other northern New England markets. For additional information, please visit, brickandbarngroup.com. Brick & Barn Real Estate Group is focused on its commitment to provide a concierge-level approach to working with buyers and sellers of properties across northern New England. The company’s people-powered culture infuses just the right balance of human connection and cutting-edge technology to make the experience of working with its staff truly unique. Brick & Barn offers both residential and commercial real estate brokerage services throughout New Hampshire, Vermont, Southern Maine, and Massachusetts. For additional information, please visit, BrickandBarnGroup.com. 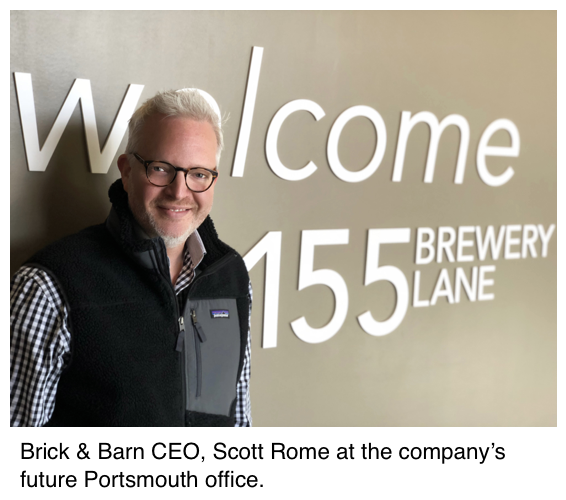 Portsmouth, NH- March 6, 2019 - Brick & Barn Real Estate Group recently announced the opening of its new Portsmouth office on Monday at 155 Brewery Lane in the West End of Portsmouth to support its growing staff. In 2018 Brick & Barn Real Estate Group added 42 Real Estate Specialists to its team as they expanded across Northern New England. Added 42 Real Estate Specialists across VT, NH, ME, and Mass. Merged with One Commercial Real Estate establishing it as a division of Brick & Barn. Opened offices in Dover, NH, Newmarket, NH, and Andover, Mass. Expanded its Quechee, VT office to a new location near the entry to the Quechee Gorge. its own Real Estate staff. Brick & Barn projects it will add another 30+ people to its team in 2019 (it has already hired 10 agents in the first 60 days of 2019) and grow its coverage area as the demand for its unique approach continues to gain momentum. Brick & Barn Real Estate Group is focused on its commitment to provide a concierge-level approach to working with buyers and sellers of properties across northern New England. The company’s people-powered culture infuses just the right balance of human connection and cutting-edge technology to make the experience of working with its staff a truly unique. Brick & Barn offers both residential and commercial real estate brokerage services throughout New Hampshire, Vermont, Southern Maine, and Massachusetts. For additional information, please visit, BrickandBarnGroup.com. Portsmouth, NH, December 20, 2018 — Brenda Hall with Brick & Barn Real Estate Group has been awarded the nationally recognized Military Relocation Professional Certification. The National Association of Realtors® awards the MRP certification to Realtors® who help military personnel, veterans and their families find housing that lets them make the best use of their benefits and serves the unique needs of military life. “Service members may only have a couple of days to view properties and make an offer, and others might be deployed at the time and need someone who can represent them while they’re away. Working with a Realtor® who understands the singular complications that arise with military service can help make the home buying process simpler, faster and less stressful,” said Scott Rome, CEO of Brick & Barn Real Estate Group. “The MRP certification lets home buyers and sellers know that a Realtor® knows the ins and outs of military housing benefits, such as zero-down payment loans, and the specific needs service members and veterans have when searching for their new home.” Rome added. The certification places Brenda in the highest standing to accommodate current and former military service members at any stage of their military career. Brick & Barn Real Estate Group is focused on its commitment to provide a concierge-level approach to working with buyers and sellers across northern New England. The company has built a people-powered culture infusing just the right balance of human connection and best-of-breed technologies to make the experience of working with its staff truly unique. Brick & Barn currently offers both residential and commercial real estate brokerage services throughout New Hampshire, Vermont, Southern Maine, and Massachusetts. For additional information, please visit, BrickandBarnGroup.com. Portsmouth, NH- November 26, 2018- Brick & Barn Real Estate Group announced it has signed a lease at 155 Brewery Lane in Portsmouth, NH, a Chinburg Properties owned building, as part of the company’s continued expansion on the Seacoast. The new office, which will be triple the size of its previous Portsmouth location, will support the agent growth the company has been experiencing. "We are excited to welcome Brick & Barn to our commercial community in the West End,” Jen Chinburg, Vice President of Marketing for Chinburg Properties said. "We think that this space at 155 Brewery Lane will be a perfect fit for the Brick & Barn company culture and business needs,” she added. “Scott and his team will provide another influx of creative professionalism and great service into the West End." The new Portsmouth office will be the third office that the company has opened in the Seacoast, in just a year, and will have both residential and commercial real estate specialists working from the location. The new West End office is slated to open in late winter 2019. Brick & Barn Real Estate Group’s original Portsmouth office at 51 Islington Street opened last year and this past summer, the company opened locations in Dover, NH and Newmarket, NH. In addition, Brick & Barn has locations in Quechee, VT and Andover, MA. The company has 45 licensed real estate specialists, services New Hampshire, Vermont, Maine, and Massachusetts, and expects to double its staff in 2019. Brick & Barn Real Estate Group provides a concierge approach to buying and selling properties. With the right balance of technology, human interaction, experience, and a passion for the communities it serves, the company’s buyers and sellers are offered strategies and guidance that ensures their real estate goals are met. Brick & Barn Real Estate Group currently offers both residential and commercial real estate brokerage services throughout New Hampshire, Vermont, Southern Maine and Massachusetts. For additional information, please visit, BrickandBarnGroup.com. Portsmouth, NH- October 15, 2018 - Brick & Barn Real Estate Group recently announced that Brenda Hall has joined the company as Vice President of Agent Development, as part of the company’s continued expansion. With approximately 40 real estate specialists, in six offices, across four states, Brick & Barn Real Estate Group is one of the fastest-growing real estate companies in the Northeast. In addition to the company’s Portsmouth office, they also have offices in Dover, NH and Newmarket, NH, York, ME, Quechee, VT and Andover, MA. “We are delighted Brenda has joined us,” Scott Rome Brick & Barn Real Estate Group CEO said. “Brenda brings extensive experience mentoring new agents, which is ideal for our growing team,” Rome explained. “That combined with her proven sales track record makes her an excellent addition. Brenda joined the real estate industry in 2011, with over 15 years of business experience. As a real estate specialist, Hall delivers exceptional service to customers to ensure they achieve their goals. Brick & Barn Real Estate Group provides a concierge approach to buying and selling properties. With a highly personal experience, the latest in technology strategy and tools, and supported by a team of experienced real estate professionals, buyers and sellers are offered strategies that ensure the most optimal outcome. Brick & Barn Real Estate Group currently offers both residential and commercial real estate brokerage services throughout New Hampshire, Vermont, and Southern Maine. For additional information, please visit, BrickandBarnGroup.com. DOVER, NH – The Dover Chamber was pleased to welcome Brick & Barn Real Estate Group with a traditional ribbon cutting ceremony. Brick & Barn Real Estate Group provides a concierge approach to buying and selling properties across New England. Founded in Quechee, Vermont, the company now has six office locations in Vermont, New Hampshire, Maine, and Massachusetts with 35 real estate agents. The company expects to grow that number to 45 agents by the end of the year. “We are excited to have expanded our seacoast presence to Dover” said Scott Rome, Brick & Barn Real Estate Group’s CEO and Owner. “We look forward to being an active member of the business community in Dover while being a consultative resource for people searching for their ideal property or looking to sell their home or commercial property”. In addition to selling residential real estate, Brick & Barn’s One Commercial division, led by Vice President, Bob Marchewka, will be located at the Dover location. One Commercial merged with the Brick & Barn earlier this year and sells and leases commercial properties across the region in addition to serving as the listing firm for the commercial units at Pointe Place, where the firms new office is located. For more information visit Brick & Barn’s website at brickandbarngroup.com. Portsmouth, NH- July 23, 2018- Brick & Barn Real Estate Group recently announced that longtime Seacoast real estate agent, Peter Deely has joined the company as Vice President, Real Estate Specialist as part of the company’s continued expansion. With 32 real estate specialists, in six offices, across four states, Brick & Barn Real Estate Group is one of the fastest-growing real estate company in New England. In addition to the company’s Portsmouth office, they also have offices in Dover, NH York, ME, Queeche, VT, Andover, MA and will be opening a sixth office later this summer in Newmarket, NH. Deely, who previously worked for Coldwell Banker, for 5 years, was recognized as one of the Top 17% Coldwell Banker agents worldwide. Prior to becoming a real estate agent, Deely owned Lamprey River Construction for 25 years and was named Builder of the Year by the NAHB, Seacoast NH . “I am excited to be joining such a great team at Brick & Barn Real Estate Group,” Deely said. “The energy level, use of technology, and customer dedication are game changers,” he added. “My interest in working with people to find them just the right property has been a passion of mine and I look forward to continuing to represent my clients with the highest integrity at Brick & Barn,” explained Deely who will be serving the Seacoast NH and Southern Maine markets. 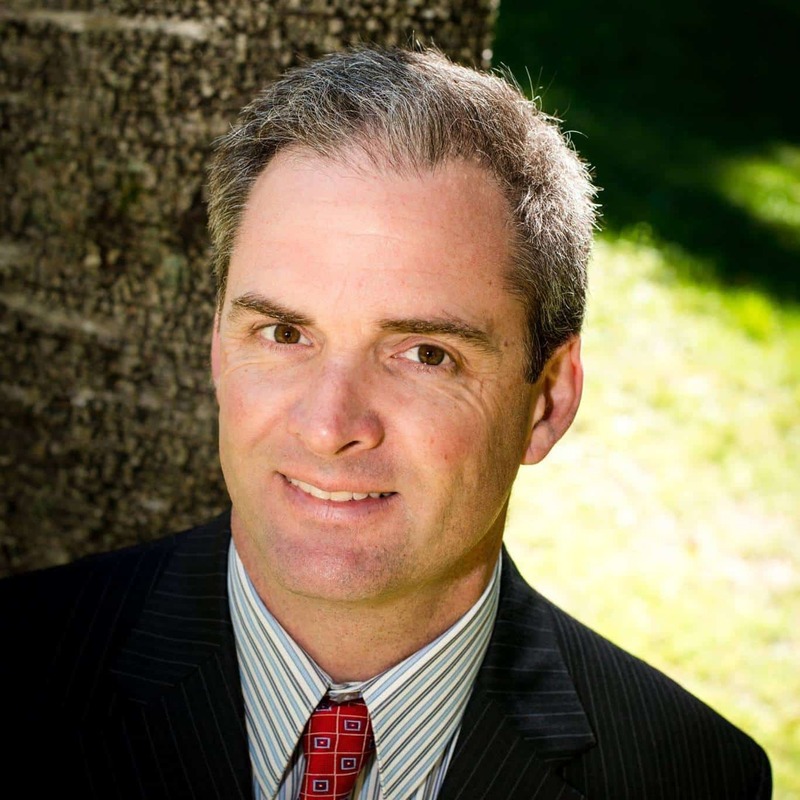 In addition to Deely’s extensive real estate and construction experience, he is also an active member of the community. He is president of the Barrington Lion's Club and member of the John Stark Society NH Sons of the American Revolution (SAR), Chairman of the Fort Constitution Revitalization NH SA and coaches the Barrington Youth and Middle School Baseball Teams. Deely earned his Bachelor of Science Degree from Lehigh University. He and his family reside in Barrington, NH. For additional information please visit, BrickandBarnGroup.com. 80 State Street, home to the Rosa Restaurant and 6 residential units is on the market, marking the first time the individual, residential units are available for sale. Portsmouth, NH- May 16, 2018- Brick & Barn Real Estate Group recently listed the six residential units at 80 State Street, located above The Rosa Restaurant for sale. The Rosa Restaurant located on the ground floor is also available for sale or lease. This marks the first time the six residential units are for sale. The units, which were completely renovated in 2013, were previously apartments and were just recently rezoned as condominiums. The units, located on the second and third floors of the building range in size from 837 to 1,419 square feet range and are priced at $430,000 to $650,000. With exposed brick, high ceilings and the original wood and steel beams, the open-concept condominiums offer luxury living in the heart of downtown Portsmouth, just steps away from the waterfront, Strawbery Banke and Prescott Park. One unit is already under contract, however five units remain available for sale. The iconic Rosa Restaurant closed its doors on April 15 and is also available for sale or lease through McNabb Properties, LTD. The Rosa previously closed in 2012 after operating for 85 years. Joe and Pamela Hunt owned and operated the restaurant for 40 years until 2012. At that time it was thought to have been the longest, continuously running restaurant in New England. Mark McNabb and Joe Baroni, owners of The Martingale Wharf, purchased the building and reopened the restaurant in 2013, after renovating the residential units, the eatery and revamping its menu. Additional information regarding the residential units is available at BrickandBarnGroup.com. How realizing the dream of homeownership, is also helping grant wishes for critically-ill children. Portsmouth, NH- April 4, 2018- Brick & Barn Real Estate Group today announced they will be donating a minimum 3% of all company proceeds from every property bought and sold through the company in New Hampshire to Make-A-Wish New Hampshire. They will be matching that pledge in Vermont for all transactions closed in that state. The funds will go towards helping grant critically-ill children’s wishes. Every four days, Make-A-Wish New Hampshire grants a critically-ill child’s wish. The funds donated by Brick & Barn Real Estate Group will go directly toward granting wishes. Past wishes granted include Disney cruises and domestic and international trips, meeting sports heroes, play areas built in families backyard, to name just a few. Wishes are often the first step in a child’s recovery. Make-A-Wish Vermont has granted over 800 wishes to children with critical illnesses since its inception in 1989. For more information or to refer a child, please visit vermont.wish.org. As winter very slowly makes its way out of New England, the number of fun things to do in Portsmouth and throughout the Seacoast area increases. At least it sure feels that way. Which of these cool activities taking place in our historic city and throughout the region will you be taking advantage of in March and April? Spring may be on its way, but you most likely would prefer to continue to enjoy indoor events for a little bit longer, so why not check out a production at our own professional theatre? "In the Heights" is the next mainstage production here, and you have 24 opportunities to enjoy it from March 23-April 22. 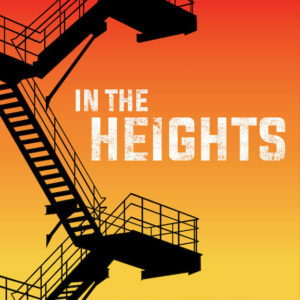 While there, you'll be entertained by a story about the Washington Heights neighborhood in Manhattan set to a "Tony-Award winning blend of hip-hop, traditional Broadway and Latin music." Tickets cost from $20 to $38. Another indoor option is The Music Hall, which is a cool venue simply because of its history: it's the oldest Victorian theater in New Hampshire. Even Mark Twain is amongst the artists to have graced this stage, which dates to 1878. One of the most anticipated upcoming productions here is the comic opera "Così Fan Tutte," which will be performed on March 31. However, that's not the only show to take place at the venue as a wide variety of ones are scheduled here over the coming weeks. By the middle of April, you will most likely be quite stir crazy from the long winter that we just had, so what better way to burn off that excess energy than by taking part in the Out of Hibernation 5K? This annual race is scheduled for 9 a.m. on April 14 and is centered around the Portsmouth Masonic Temple. Registration costs $20. Perhaps you prefer to enjoy your sports events as a spectator, not a participant. If so, you're in luck too. Although the college basketball and hockey seasons are wrapping up, the spring sports are just starting up for the New Hampshire Wildcats. Some of the competitions taking place in Durham include women's lacrosse matches on March 13 and April 4, 7 and 21 and track and field meets on April 7 and 14. How about exercising your mind? The 3rd Annual Great Trivia Knock-Out is scheduled for 6 p.m. on March 9 and will be held at Redhook Brewery. The $100 entry fee includes open beer and wine bar and food from Nibblesworth while proceeds will support the Prescott Park Arts Festival. Auctions and raffles will also take place at this event. Farmers' Markets are not only for the warmer times of the year as ones have been taking place throughout the winter too. The final two are scheduled for March 24 at Wentworth Greenhouses in Rollinsford and on April 7 at Exeter High School. Hours will be from 10 a.m.-2 p.m.
With all of the fun activities happening come see what it could be like to live here! A professional from Brick & Barn Real Estate Group will be your partner in the process. We provide a unique approach to helping you navigate the real estate buying experience. Find a property online or give us a call at 603-389-2228.